The Indian Police Service (IPS) is one of the three major Civil Services established under the Constitution of India. The IPS officers are high ranked personnel who offer leadership to Police forces both at the Centre and in the States. The Police Division in the Ministry of Home Affairs (MHA) is responsible for cadre management and policy decisions such as cadre structure, recruitment, training, cadre allocation, confirmation, empanelment, deputation, pay and allowances, disciplinary matters of IPS Officers. As per official records, the current strength of the Indian Police Service Officers stands at 4802 (1st January 2016). What is Indian Police Service (IPS) Exam ? IPS (Indian Police Service) exam is a part of the UPSC Civil Services Exam which is conducted every year. Candidates who take the exam will be allotted to Indian Police Service depending upon their hard work, self-determination and the rank, they score in the exam. The candidates applying for the Civil Services Examination should make sure that they meet all the eligibility criteria which are similar to IPS. 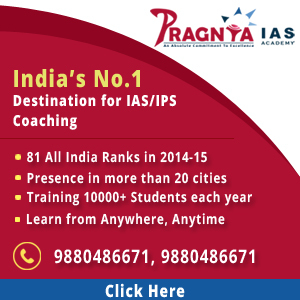 What are the eligibility criteria for Indian Police Service (IPS) ? The eligibility criteria for the IPS exam are the same like other civil services but there are some physical criteria prescribed for the IPS officers. Once the candidate clears the civil services final exam and gets allotment to the IPS as per his rank, he has to go through the specified physical tests to make him/her eligible for service as a police officer. Some of the special physical requirements for IPS are listed below. They are also subject to change as per UPSC notifications. The minimum chest girth fully expanded: 84 cm for men and 79 cm for women, expansion of 5 cm for both men and women. The total amount of Myopia (including the cylinder) should not exceed minus 4.00 D and the total amount of Hypermetropia (including the cylinder) should not exceed plus 4.00 D. The presence of Squint is a disqualification. The Distant vision for better eye(Corrected Vision) should be 6/6 or 6/9 and for the worse eye(Uncorrected Vision) should be 6/12 or 6/9 and near vision should be J1 and J2 respectively. High grade colour vision is required and Binocular vision is needed. The IPS recruitment and training period is among the longest in all services and extends to almost 2 years in total. Usually the first part of the training is done with the other services like the IAS at Mussoorie. From Mussourie they go for Bharat Darshan with other services in groups. The second part of the training in 2 phases is done in the National Police Academy (NPA) in Hyderabad. The IPS officers also have a certain amount of training in a district of their cadre in between the 2 phases of training at the IPS academy. Learning the Native Language of the cadre is part of the training of the IPS officer. It begins in the academy itself where they learn the basics. Once they join their cadre, they are expected to pass 2 levels of the exam and their promotions to the next level are dependent on that.